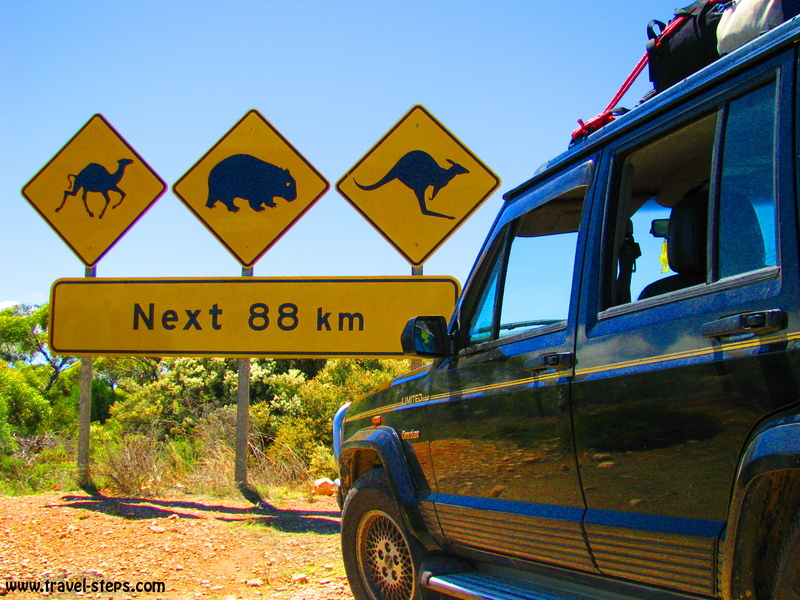 Work & Travel in Australia: Looking forward to a year full of sun and fun? You are looking for a country to spend a year full of sun and fun, that is perfectly set up for travelers? You are fed up with your lifestyle and want to experience a change? If you are not afraid of crocodiles, spiders, the broken ozone layer and probably getting your hands dirty at work, Australia might be the right choice. The working holiday visa currently allows people of worldwide 34 countries (April 2016) between 18 and 30 years old to apply for the working holiday visa. 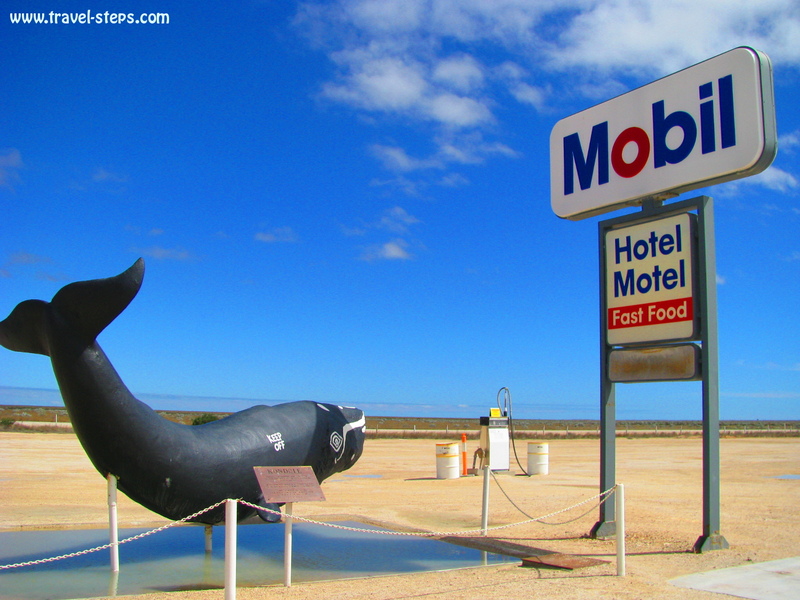 A lot of travel bloggers are very quick to describe all the downsides of a working holiday visa saying that Australa is too crowded and too expensive. I can see, that traveling among big crowds of backpackers from different nations is not, what everyone wants. 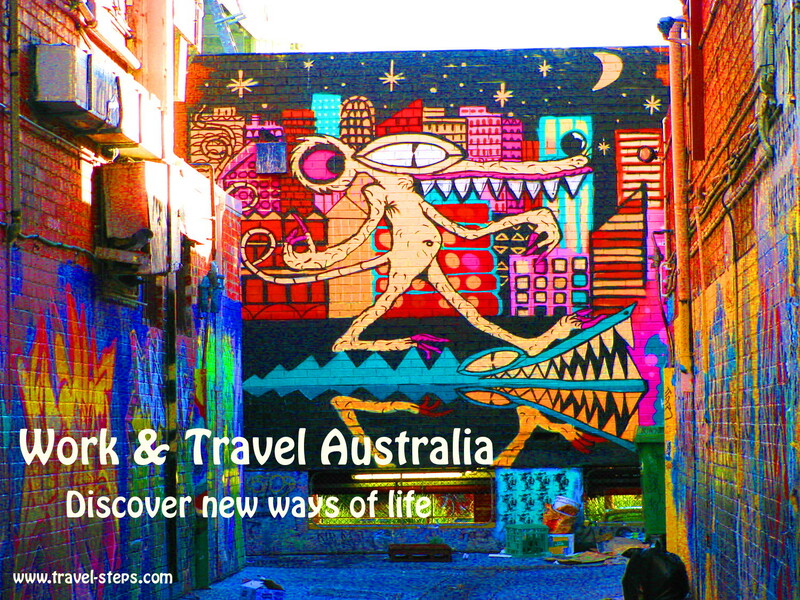 If you are looking for great adventures and undiscovered places away from backpacker crowds, you have to make an effort in Australia to find, what you are looking for. But hey, it is still an amazingly beautiful country. How much time you spend in the backpacker bubble, is your own choice. It’s not so difficult to move away from the major backpacker trail whenever you want. And if you want to live in a different country for a while and don’t mind doing unskilled labor to earn a living (or even have skills to offer), if you want to travel and have some fun in a beautiful surrounding, Australia might be a good place to start a personal adventure. Argentina, Bangladesh, Chile, People’s Republic of China, Indonesia, Malaysia, Poland, Portugal, Slovak Republic, Slovenia, Spain, Thailand, Turkey, USA, Uruguay. 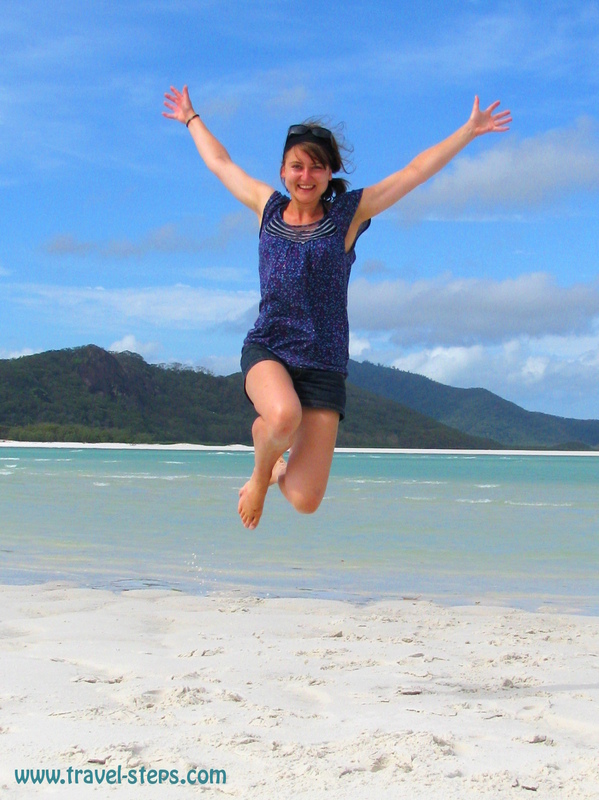 I spent a year in Australia on a working holiday visa and I loved that time. Well, not every moment, but for me it was a great opportunity to leave my stressful job and parts of my old life behind without falling into nothing. The working holiday visa was my great plan. I was 29 when I decided to quit my job and to go to Australia. It all was a start of a trip, that took almost three years and took me to a lot of places on this planet. But Australia was an easy point to start. There I realized, how much I love traveling. I became curious to see more and more. Following a professional career had not made me happy. My friends had moved to different cites all over the country. I haven’t had a relationship. I felt as if I had nothing to loose trying something new. And I was luckily not too old to go on a working holiday visa to Australia. You are eligible to apply for the visa until your 31th birthday and then have one year to actually go to Australia. It was so worth doing it. One year seems a lot. But time was flying by. I had good times and bad times, but went home with the feeling, that I had experienced a lot, learned a lot about myself and life and had a lot more energy to try something new. Do you need a gab year, are unemployed or frustrated? Everyone has different reasons to go to another country for a year. I met many people in gab years between school and university, school and job or university and job. I met young people with a good education, who were not able to find jobs in their home countries. But I also met older travelers, who just wanted to try something else. For me personally, in my situation going on a working holiday visa to Australia was the best choice of my life. Not because Australia is so much better than anything else. But having a distance to all the things, that you have done before, means a chance to go new ways, to become open for new experiences, meet new people and invent a new lifestyle for yourself. Australia offered a great platform for rethinking old ways of life. Why? The challenge is limited. Australia is apart from some poisonous animals a safe country. I didn’t need to worry to much about medical care. There is a high minimum wage. And everyone speaks English. There are quite a few companies, that offer complete working holiday packages including flights, meetings with other travelers, organize a national tax file number and provide some help with looking for work in Australia. I don’t have any experiences with these companies, but didn’t think once about using them. It might make you feel more comfortable not to start your adventure completely by yourself. But in the end, it is all about you. They won’t feed you, if you don’t find a job. These organizations can give you just a feeling of security and cost a lot of money. Don’t forget: You are going to Australia, not to a rough jungle. There are nice and helpful Australian people around, specialized backpacker job agancies and thousands of fellow travelers, who do exactly the same and who are also happy to meet new people. Organizing a bit of paper work in the beginning needs no magic. It’s manageable, even if you are doing it for the first time. And it’s not the worst idea to go on a working holiday by yourself. If you want to spend a year in Australia on a working holiday visa, it makes sense to stay a week or even longer at one spot (for example Melbourne, Sydney or Perth or another place, that you like) to get organized. You need an Australian tax file number, that you need for every legal job. Personally, you can apply online for the tax file number as soon as you are in Australia. I had mine within seven days. It got sent it to my hostel, which I had booked for the first two weeks. You need to leave an Australian address to receive it. If you spontaneously plan to move on before you have your number, just apply for a new one and let them know your new address. An Australian bank account saves you expensive transaction fees while you are traveling. You will probably also need it, if you want to get paid for a job. Most employers pay weekly and not in cash. Banks like NAB, Commonwealth Bank and NAB offer bank accounts for foreign travelers at different conditions. It took less than a week after opening up the account to receive my bank card right at the bank. If you don’t have an international credit card (which I would recommend anyway), it is important to make sure, that you get a debit card, that you can also use to book bus tickets and everything else online.